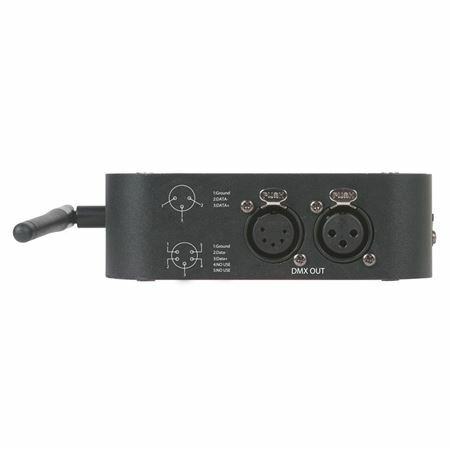 Shop ADJ WiFLY EXR Battery Lighting Controller from AMS with 0% Interest Payment Plans and Free Shipping. The WiFLY EXR Battery is a true wireless solution! 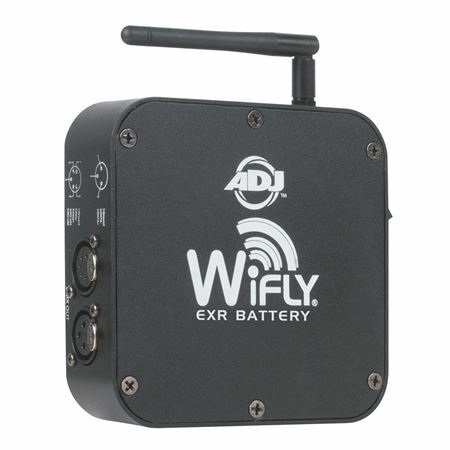 A battery powered wireless DMX transceiver (transmitter/receiver in one) that is compatible with all ADJ WiFLY “EXR” products. 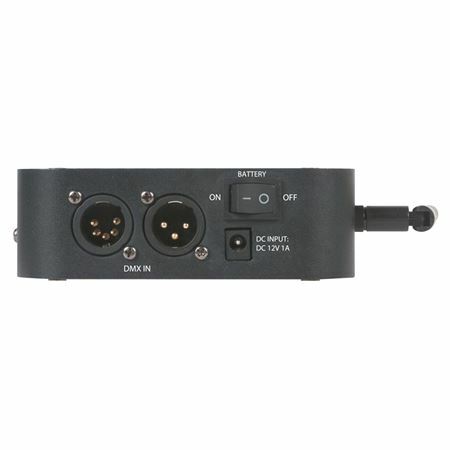 After connecting the WiFLY EXR Battery transceiver to a DMX Controller users can send a constant and reliable wireless DMX signal up to 2500 feet to other ADJ WiFLY “EXR” products. 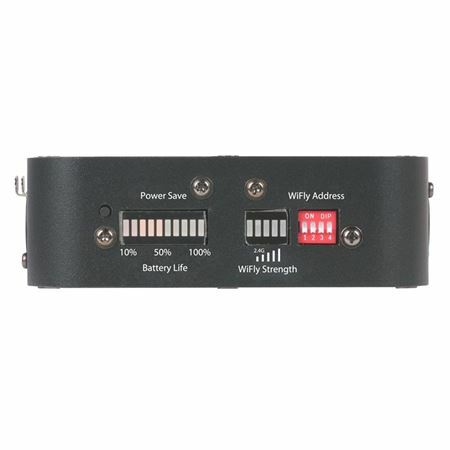 This transceiver is backwards compatible with ADJ WiFLY products, however, it will only transmit up to 2500 feet with other “EXR” Extend Range products. Weight: 2 lbs. / 0.75 kg. If you don’t already own any of these let me just save you trouble and time on the debate! Buy 4!! I got 2 the other day and used them for my light show the day after they came In. That’s how easy they are to use. No hassle. Plug and play! If you have a dmx controlled light show big or small, it’s not complete till you have there in your arsenal!